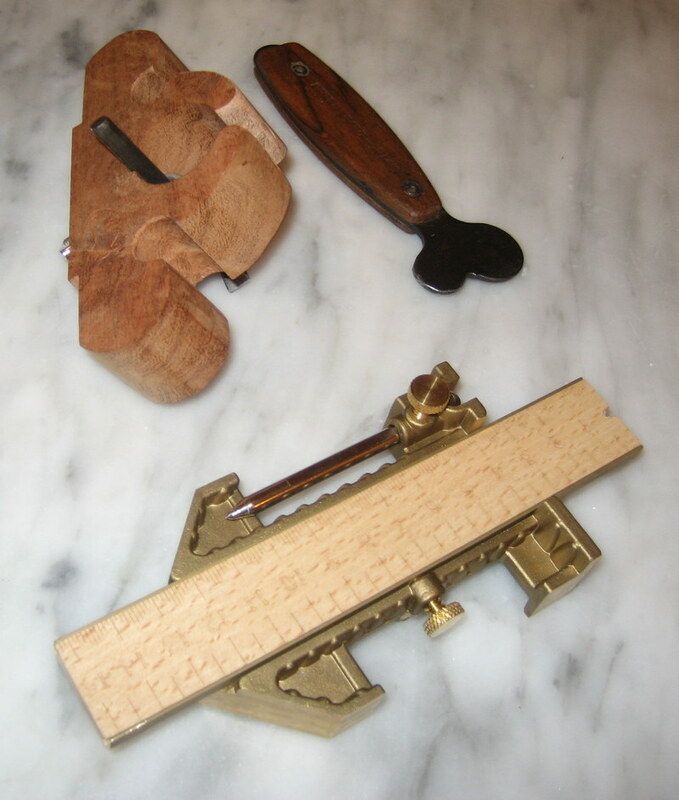 Galootaclaus (who is apparently from Armadillo Works in Texas), dropped a package off on my porch again this year….As I said last year, if you don’t know what/who Galootaclaus is, I recommend that you join the OldTools email list and find out. When I opened the package, I found a plethora of galootish tools! 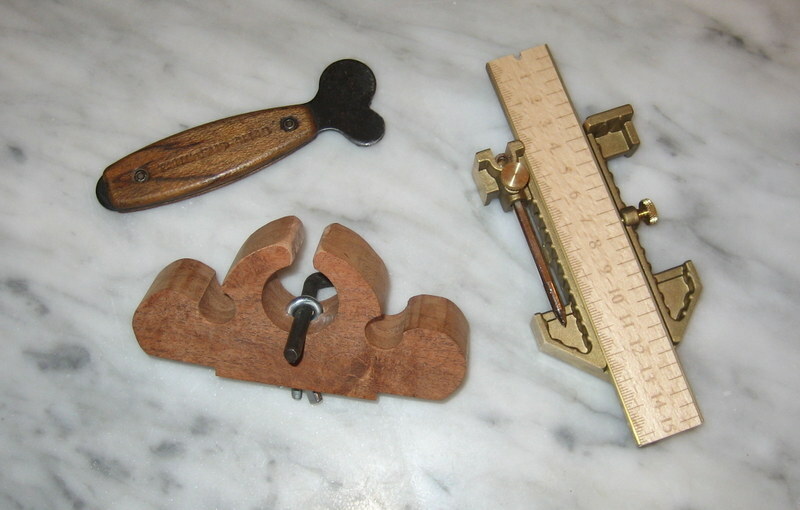 A very nicely made reproduction Stanley Odd-Job (gold thing with the ruler), a patented old-tool that looks like some sort of unusual screw driver made to look like Mickey Mouse (I will look up the patent to see the purpose), “The Handplane Book” by Garrett Hack (not shown) and a beautiful galoot-made router plane. What a haul! Apparently, the unknown tool above is not a “Mickey Mouse” tool as I called it, but it is known as a “Snoopy Tool” or DZUS Tool and it is used to remove panels from aircraft. This one appears to be fairly old. Posted on December 30, 2007, in Tools and Shop. Bookmark the permalink. Comments Off on Galootaclaus 2007 sighting in Sewickley, Pa.